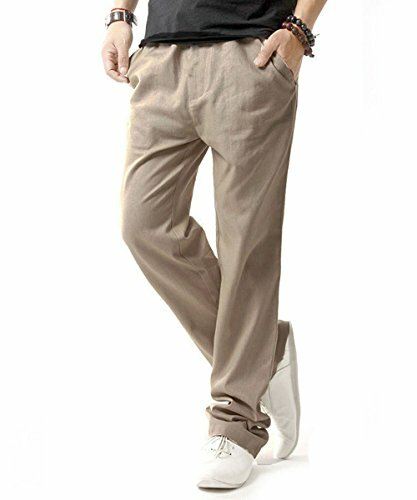 The men's casual pants made of lightweight linen fabric. They will surely give comfort to your daily occasions, quick dry even in rainy day and foggy day. It is also a ninth pants. We hope you love your item, but if you need to return or exchange it please contact us, we will provide a satisfied solution for you.